Loglap is increasing in popularity for use in building garden rooms, garden offices and sheds. We are now able to offer a high quality painted loglap measuring 38mm x 150mm out of premium quality joinery softwood timber. The timber is pre-treated with a pressurised treatment and then painted to your colour choice in our factory unit, saving you time, expenses and effort painting on site. 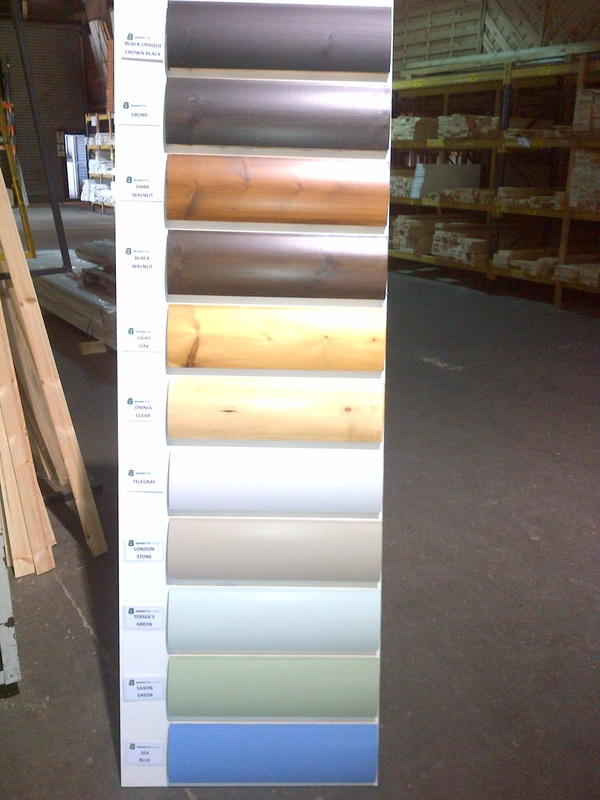 The timber is coated using the Teknos paint system through a vacuum coater unit which gives it a fantastic colour finish. Colour can be matched to any RAL or other standard number. Examples of the colours available can be seen in the attached photo. So if you are thinking of constructing a new garden room or home office, look no further than pre-painted high quality loglap cladding. Contact our sales team on 01472 350151 and they will be able to discuss your particular requirements with you and provide a detailed quotation. Delivery can be arranged to anywhere in the UK.